Operation centers for government-owned satellites are consolidating into fleet management to reduce the long-term operations costs. New commercial entities are launching satellite fleets or constellations as the cost of access to space has dropped. These two trends are creating the space-based enterprise, with a focus on creating greater value from space assets, through rapid adoption of new technology. The space industry, whether working with the government or on new commercial projects, needs technical standards to enable innovations while reducing associated costs, schedules and risks. An industry that once moved to the cadence of government projects – where innovation was measured in years – is now looking more like a start-up industry in need of the insights and experience of experts in government, industry and academia who help define standards. Object Management Group creates industry-driven specifications to reduce the software costs of developing, deploying, and maintaining space systems. Increasing interoperability not only reduces the costs through competitive industry offerings, but increases the resiliency of space systems that are relied on for critical health, safety, and defense applications. OMG is hosting a half-day event for software architects, system architects and systems engineers to learn more about the revolution in space and the role of standards in designing, developing and exploiting satellite systems for the space-based enterprise. Today, the technology cycles are faster and the cost and schedule pressures greater. We are moving towards enterprise solutions for our fleets, have more collaborations with other groups, and our constellations are growing in size and complexity. Cubesats and smallsats are providing a forcing function to really change how we approach new systems. 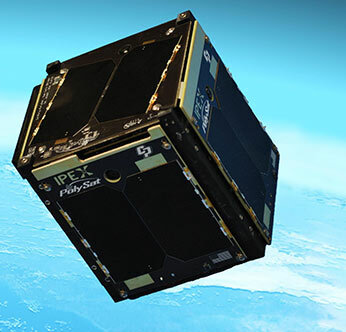 This talk will focus on the use and benefit of current and evolving space data standards and specifications for use in the evolving world of cubesats and space system enterprises. Let’s believe in NASA’s adage of “Better, Faster, Cheaper”, but add the words “through innovation and standards”. 13:30 - 14:45 Panel: Specifications to Support the Space Enterprise - including an XML Telemetric and Command Exchange™ (XTCE™) tool demo. A fun and interesting look at how AWS Ground Station worked backwards from our customers to build a Ground Station as a Service (GSaaS). By obsessing on our customers we focused on building secure and reliable ground station services that deliver the scalability and velocity our global customers need to focus on what they do best: innovating and disrupting space. AWS Ground Station will democratize space and support our customers as they build a CubeSat Revolution. Brad Kizzort, Chief Technologist, OS/COMET Product Group, Peraton, Inc.